Attic black-figure pelike, 6th century BC-5th century BC. 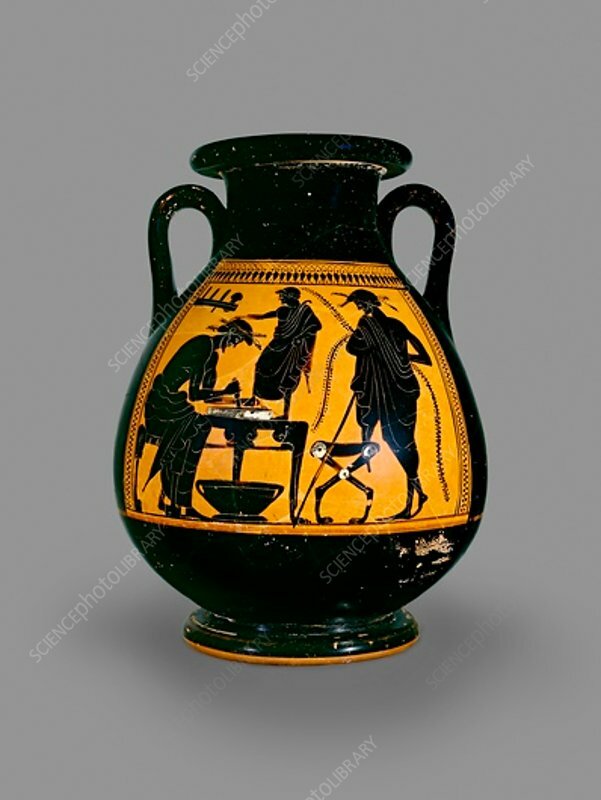 Athenian black-figure pelike; (A) shoemaker cutting a piece of leather round the foot of young boy, whose father looks on; beneath the table is a bow; above the shoemaker is a rack containing two knife blades with the tangs showing. Dimensions: height: 40 cm.